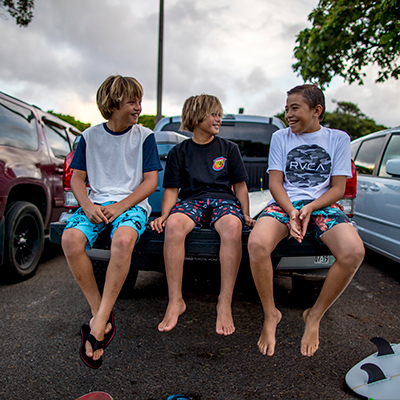 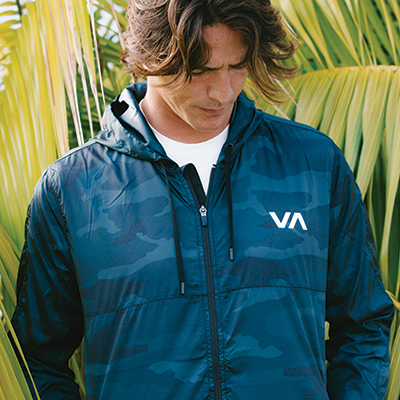 A timeless staple, the RVCA Fade Out baby tee will never get old. 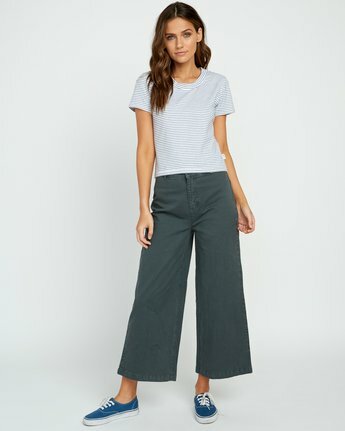 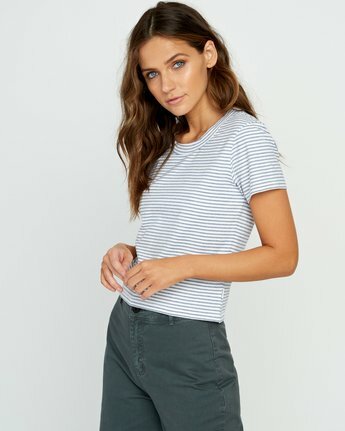 Rocking retro status and modern versatility, the shrunken short sleeve tee is perfect for layering over vintage denim, overalls or high waistlines. 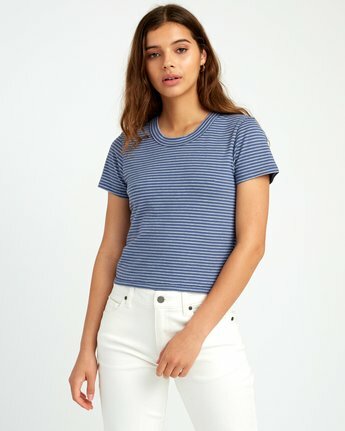 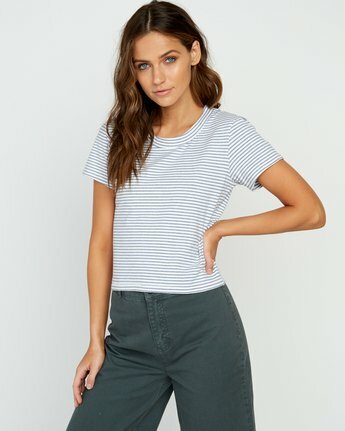 The fitted striped tee is cut with a slightly cropped length and rounded neck, made from stretch jersey, textured knit.